How well does it works in-house surrounded by trees? Hello,LeafFilter works great on homes surrounded by trees. Our patented system is made out of a surgical grade stainless steel material, so nothing will adhere to it. Plus, we install our system at the optimal angle. Maple seeds, spinners, pine needles, all types of debris will divert over the edge. 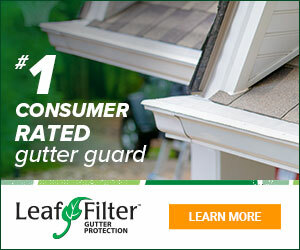 Find out how we are different than other gutter guard products here: https://www.leaffilter.com/discover/compare.